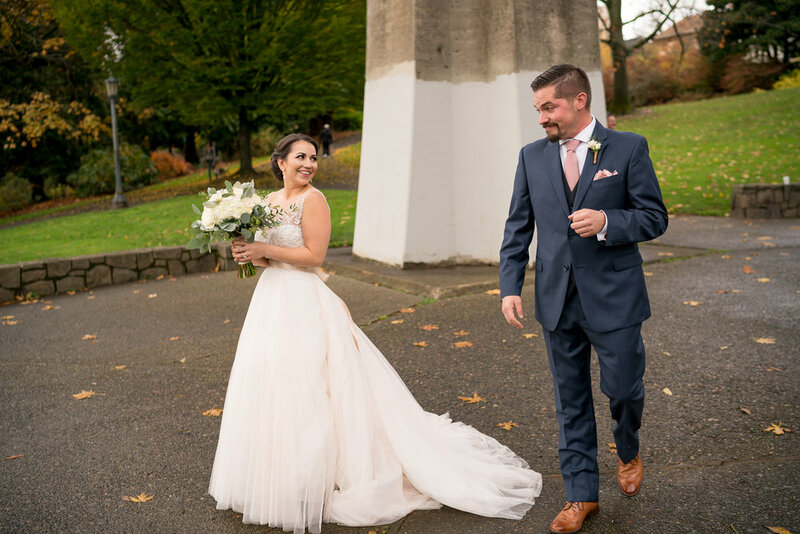 One year ago, Amanda & Scott’s wedding vision came to life on a romantic, November evening in downtown Portland, Oregon. 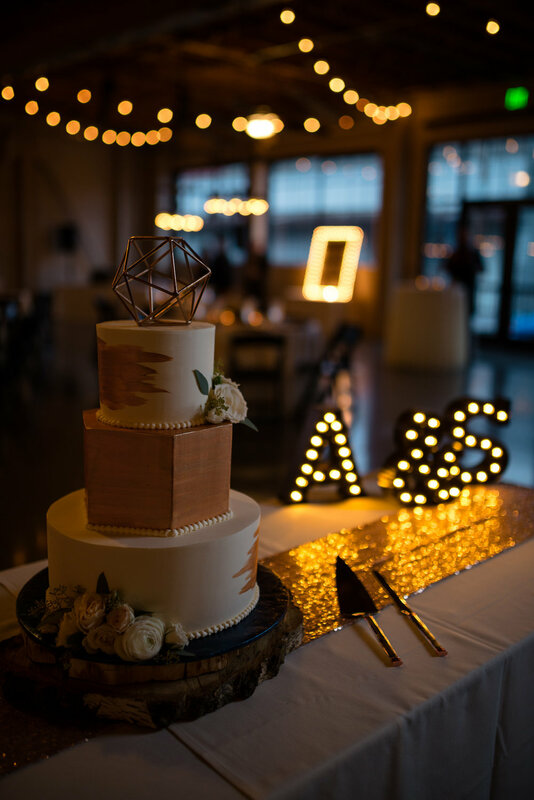 Castaway, a chic an industrial space, was transformed into the backdrop for a classy ceremony and lively dance party. 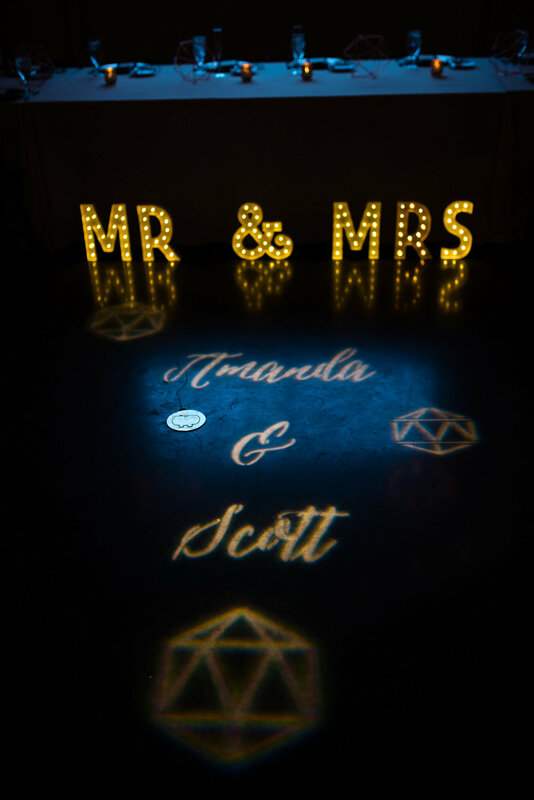 Amanda & Scott were one of the most organized couples we’ve ever had, and they dreamt up the perfect soiree to celebrate their love. 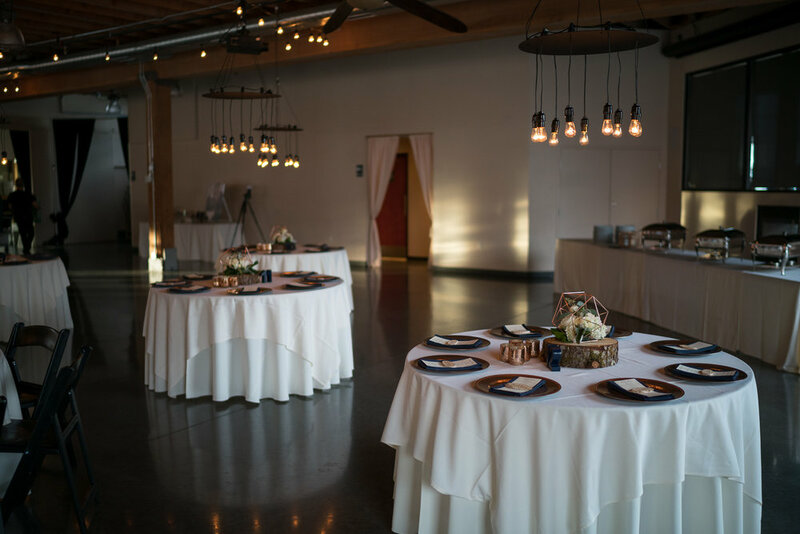 Custom Edison light chandeliers and strands of string lights set the mood, with only moonlight shining through the windows. 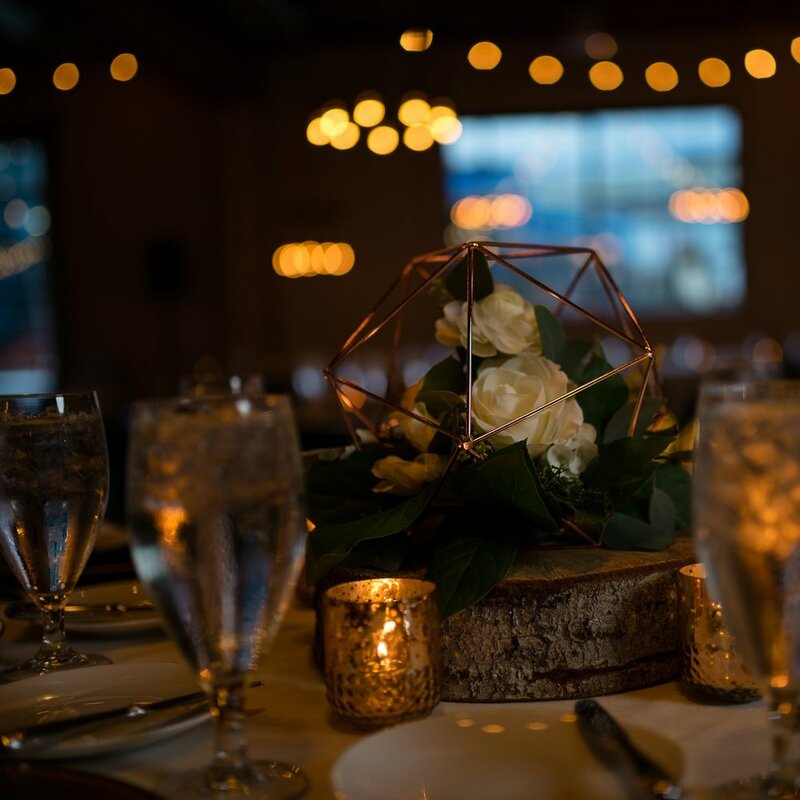 Greenery & white florals peeked out of rose gold geometric shapes all throughout the room. 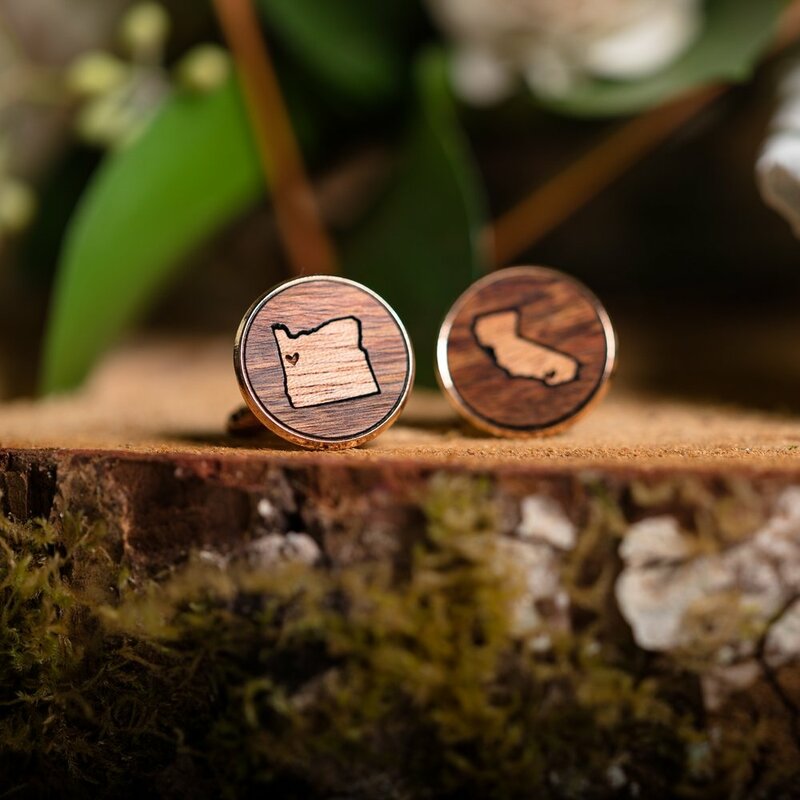 Pacific Northwest vibes were incorporated, with wood chargers and placecards. The dance party lasted through the end of the night, followed by an impressive sparkler send-off. 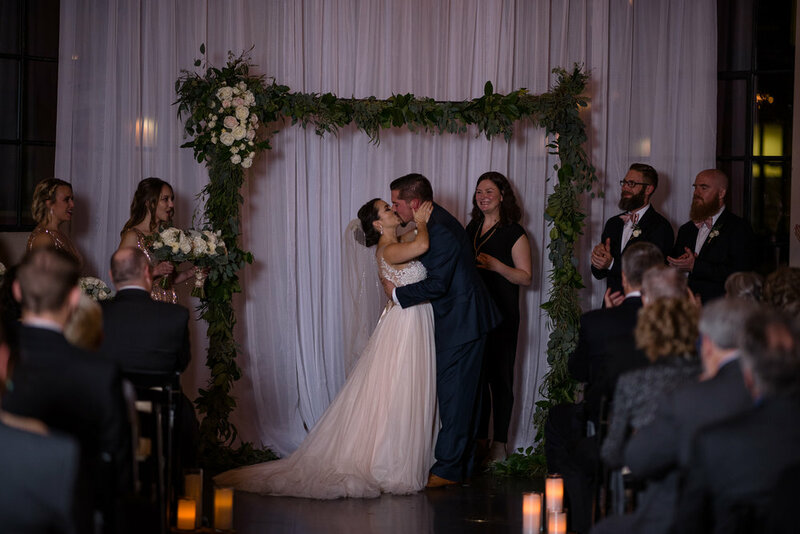 Happy First Anniversary Amanda & Scott - cheers to many years of love and happiness!